Leading iOS Application Development Services & Solutions in Zimbabwe! Have the World Wrapped Around Your Fingers! Most businesses require an application that is able to take their company to the next level. We understand that and because of that, we offer expertise in creating mobiles apps that are groundbreaking, feature packed and user-friendly. We offer iOS application development functionality that will guarantee appraise your business, thereby boosting your company’s revenue and increase brand loyalty. Why Choose Us as Your iOS Mobile Application Development Company? iPhone is loved by many people all over the world. This is because of its innovative technology. Also, users love it because of its groundbreaking apps that have brought a revolution to the commercial landscape, thereby assuring a good return on investment. Here at SPEMedia, we understand how important it is to have applications that are client-centric as well as user-focused. 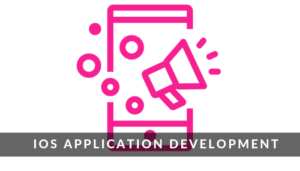 For that reason, our iPhone apps development services are empowering local businesses every day with robust, highly scalable and intense utilitarian apps that do a very good job offering optimal productivity. As the leading iPhone app development company in Zimbabwe, we deliver a dynamic and top-notch iPhone app development services. Our understanding of iPhone development processes is unmatched. Furthermore, we deliver highly responsive mobile apps for a variety of businesses with our custom iPhone app development services. Our expert services ensure that we provide iPhone apps that are engaging and innovative. This ensures that our clients are guaranteed of profitability and practicality. We have conceptualised and developed a variety of apps for businesses which crave for growth successfully. Yes we can! Why not give us a call on +263 776 260 360 or email us to discuss your iOS Application development project whether you are in Harare or anywhere in Zimbabwe. Get a free no obligation estimate or contact us to discuss your exact requirements. We appreciate that your business is unique in its own right. Therefore, we will develop a personalised iOS Application development plan and approach for you. Kindly fill the form below and we will reply you urgently with a custom pricing quotation. We are open from Monday to Friday 8 am to 5 pm.